Macon is home to an array of attractions from outdoor activities to unique museums that are sure to be good for your soul. 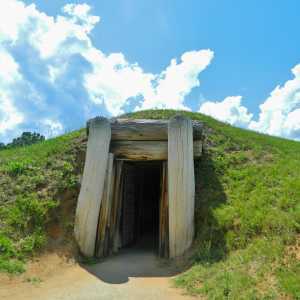 Visit the Ocmulgee Mounds National Historical Park, a prehistoric American Indian site, and see the Earth Lodge with its original floors that are dated to 1015. Explore the museum’s 2,000+ artifacts and learn about the many American Indian cultures that occupied the land for thousands of years. Stroll through Amerson River Park’s 180 acres of pristine forests, meadows, and wetlands. Take in beautiful views of the Ocmulgee River while enjoying a picnic under one of the covered pavilions. 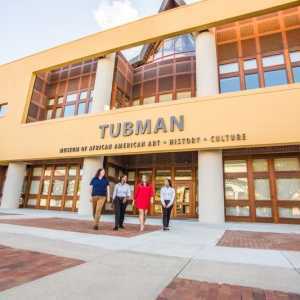 Visit the Tubman Museum’s 8,500-square-foot building that houses a variety of exhibits that celebrate African American art, history, and culture. 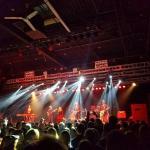 Take a tour of The Hay House, one of Macon’s most distinguished structures, and discover why this 18,000-square-foot mansion is called “The Palace of the South.” Ramble down to The Allman Brothers Band (ABB) Museum at The Big House and see the largest collection of ABB memorabilia in the world. Home to members of the band from 1970-1973, walk around the room where Dickey Betts wrote “Ramblin’ Man” and see Duane Allman’s famous Gibson Les Paul Goldtop. 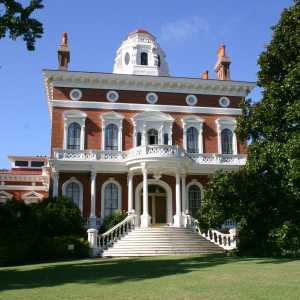 Check out the full list of attractions in Macon below and discover why it&apos;s more than a place on a map. It&apos;s a vibe all its own.